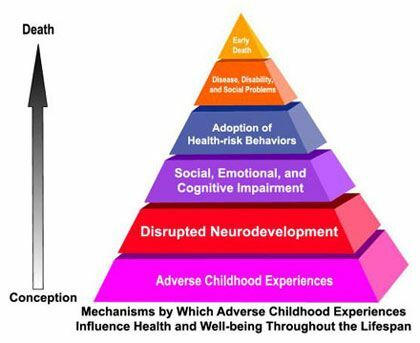 How do childhood adverse events affect development? How do they impact health? How much does it cost society to have children exposed to adverse events? What are the social ramifications? How does childhood adversity reflect in mental-health? In illness? Can we prevent childhood adverse events? Why is it worth it for society to invest in prevention and treatment of childhood trauma? And other questions: What is more harmful: second hand smoke or childhood maltreatment? How is that reflected in funds or investment in prevention or treatment? Where does asthma come in? What can we do about any of this, anyway? To find the answers to these questions and more, check out this amazing presentation (also available in PDF and PPT on the site–see links below). This free resource is available due to the generosity of Frank and Karen Putnam along with their colleagues, who created this presentation in the hope that it will be widely disseminated and that it be used as an education resource for the public as well as for researchers and clinicians. The presentation details the prevalence, impact, treatment, and importance (it is highly possible!) of prevention of child abuse and neglect. The authors encourage everyone to use the presentation and share it.